Sangria has become a popular item in fancy bars, elevating the humble drink to new heights of popularity. It’s born-again celebrity is no surprise; it has all the hallmarks of a great tipple, in that it suits every situation. You can drink it chilled or warmed, it’s best drunk with mates, and is affordable to make as well being damned tasty! Having its origins on tables across the Latin world, Sangria is a simple drink that made use of the abundance of wine and citrus at hand. Our recipe is given more life with a splash of vodka and triple sec. We lightened the palate with the bubbles of soda water, and paid homage to this no-fuss recipe, by using the cheapest Rose available. 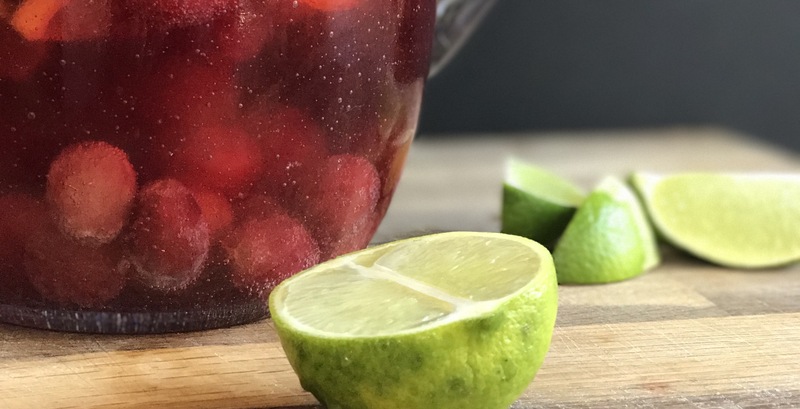 There’s no rules to making Sangria, only that it includes wine; so why not flex your cocktail muscle and make your own recipe. We’d love to hear about what you’ve created. Make sure you post pics to More Food social pages. Place ice in jug, add vodka, triple sec and sliced fruit. Pour in wine and soda water. Add juice of lime and half a lemon, add frozen berries (tip: frozen fruit helps to keep the Sangria chilled, without watering it down like ice can). Stir and serve in your favourite glassware.